VOX POPULI embrace the wilderness, providing educational resources to the children of remote Palawan. Recently our agency connected with an incredible, sustainable movement in the Philippines, called Tao. Conceived ten years ago by two friends, with a map and no plan, the founders lead a nomadic life, exploring the stunning Palawan archipelago and discovering the local way of life. After falling in love with the landscape and the vibrant Filipino culture, Tao Expeditions was founded, with Tao Kalahi Foundation being formed in 2013, with island communities as partners. The goal being to facilitate economic empowerment, create avenues for education and to establish a more sustainable way of life for the region. All whilst sharing the incredible and diverse landscape with adventurers, the Tao enterprise has designed a somewhat utopian reality. So far, the future-focused enterprise has provided economic empowerment for the women through small business opportunities (think organic, hand pressed coconut oil and therapeutic massage), training and work opportunities for locals (chef courses, expedition leadership and permaculture) and access to organic, nutritious food for both consumption and trade throughout the islands. We were fortunate enough to be guided through the breathtaking, uninhabited islands as well as being hosted by the isolated communities on an unforgettable journey through the Palawan with the Tao lost boys. Together, we explored avenues in which we could collaborate, to further support the faraway villages who welcomed us. The most difficult challenge for such remote localities is the access to basic resources. For us, the discovery of small schools dotted amongst the islands prompted us to look at the current restrictions to education. Currently in the Philippines corruption and limited resources are concerns to be addressed. As education, poverty alleviation and economic development are all interdependent, we recognised that one of our greatest values as adventurers was to simply provide access to information. In the Philippines, approximately 80% of the population live in rural areas, where there is a corresponding deficiency in schools and classrooms. This is critical, as in developing, low-income countries, every additional year of education a child receives can increase a person's future income by 10%. It also has tremendous impacts on the empowerment of women and the progression of developing societies. Based on this, we coordinated and delivered a supply of collateral, generously contributed by our VOX POPULI community, including notebooks, pencils, colours, children's books and educational textbook resources on topics covering the sciences and language. We were incredibly grateful for the opportunity to share this collective gesture with the Filipino locals. This initiative is an example of a series of VOX POPULI global collaborations. 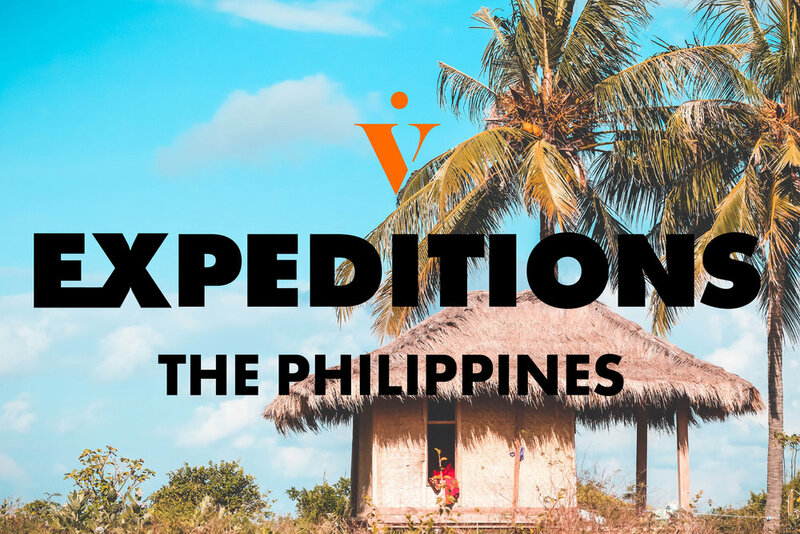 You are now invited to apply for our next VOPO expedition. It promises to immerse you in adventure, with a team of fellow, skilled human beings across diverse social and ecological settings. For the purpose of addressing pressing challenges, together with the locals who face them.